Late last year, Senator John Madigan dispatched staffers to South Gippsland to stir up the community about the Bald Hills wind farm. Yes 2 Renewables responded to the visit, pointing out that claims of ‘excessive wind farm noise’ are speculative given the project haven’t even commenced construction. Some people may be persuaded that “there must be something to it”, when mainstream Rupert Murdoch type news pretends there’s a debate, with the very few noisy people, who organise protests against wind farms. Probably lost behind his other more crazy announcements this week, Tony Abbott is asking about another investigation by NHMRC (National Health and Medical Research Council). Previously NHMRC has conducted 19 such investigations. From their own on site investigation and checking all peer reviewed research from around the world, they’ve never found any health problem link between people and wind farms. It’s only when, cult groups like Waubra Foundation and Landscape Guardians suddenly appear, here, there and everywhere that, even in communities where wind farms have been operating for years, without any complaint, suddenly the odd bystander reports symptoms which can neither be validated nor cured by modern medicine. Minister Ian Macfarlane recently expressed his opinion that wind farms are the only technology ready enough to install in time, to meet international treaty commitments, for emission reductions. It’ s time to lead, preferably not in all directions at once. It’s hard to understand how somebody like John Madigan can go around the countryside making ridiculous pronouncements about the damage a wind farm will cause when construction has barely begun and the project is not even commissioned. The only thing more frightening is that some people believe him. It says a lot about the poor state of science understanding in this country. You have claimed that Senator John Madigan “dispatched staffers to South Gippsland to stir up the community about the Bald Hills wind farm.” Blair was right- it is hard to believe! It’s also imisleading and untrue. Senator Madigan did not ‘dispatch’ anyone to do anything of the sort in South Gippsland. While several residents had previously contacted his office about potential nuisance and the problems of enforcing reactive planning permits- (thanks Waubra), the lone staffer involved lives in the area and did so at her own discretion. She is now no longer employed by the Senator. More facts, less sensationalism please, Leigh. Instead of portraying John Madigan as the villain in a media soap opera we should be listening to him and compelling wind operators and RAs to resolve the known excessive noise at a few existing windfarms in Victoria that are indeed operating outside compliance and annoying communities. This is the first, necessary step we must take to get the social license to develop further wind projects in rural areas and in so doing, move more efficiently and swiftly toward our clean energy future. In fact John Madigan is a villain for going around the countryside talking nonsense about a subject he knows nothing about. He has used a few people who were happy to be patronised by the dear Sen because he regurgitated the fears they had convinced themselves are real. Madigan isn’t interested about an informed community, he is only interested in promoting himself in an effort to look relevant. If he was genuinely concerned about people’s health and well-being, he would not keep repeating demonstrable lies. Further, he would have made an honest attempt to understand the technology of wind energy and the science that supports it. I live in South Gippsland and I thought it was bit of a joke seeing senator Madigan’s assistant wasting our council’s time in the local paper…. it pretty clearly stated that she was senator Madigan’s assistant in the Star (or Sentinel)… I can’t remember which rag it was, and it made no mention that she “lived” down here. Either she was telling porkies or the paper was I reckon. John Madigan’s not a villain but he’s a time-wasting gas-bag and if he doesn’t expect to cop any flack for it then he probably shouldn’t be in politics! Hey Intheknow: The folks who are really “in the know” at DPCD/DTPLI are so completely sick of your harassment. Do you really think the Department would allow a non-compliant wind farm to operate? The only reports alleging non-compliance at any wind farm were prepared by second rate acousticians, hired by opponents, prepared against imaginary standards and promoted by third rate politicians. And how’s that working out for you? What a pathetic “fight” your office is putting up. 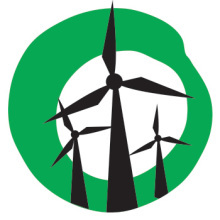 The DLP’s policy statement on wind farms states that “wind farms will not deliver the power required to drive us forward either in the short or long term”. I believe Senator Madigan is the only DLP member of the Australian Parliament. The South Australian experience, in just a few years, has shown the DLP’s statement to be quite false. Now wind power is providing around 30% of SA’s power. Dave, there you go again using facts and evidence. This really has to stop. The good folks justifying Magic Madigan’s actions needs to believe in their fantasies to remain relevant.